By Amy Sherman on Thursday, May 25th, 2017 at 4:03 p.m.
Samantha Bee criticized Florida's process that makes it difficult for felons to get their civil rights restored. Desmond Meade, a convicted drug offender who later turned his life around and graduated from law school, is leading the effort in Florida to automatically restore voting rights to many felons. Meade’s effort to put a question on the Florida ballot got a major plug from comedian Samantha Bee, who used her TBS show Full Frontal on May 10 to highlight the topic of how felons struggle to regain civil rights in Florida. "Ever since losing the popular vote, President (Donald) Trump has had his Underoos in a wad about 3 million people who voted illegally," Bee said, setting up her interview with Meade. "They don't exist. What does exist is 6 million people whose right to vote has been taken away. To learn about them, I went to Florida, where retirees and democracy go to die." Meade, from Orlando, told Bee that in Florida, 1.68 million felons have lost the right to vote. And some of those felonies are less serious than others. "It doesn’t matter if it's a first degree or third degree. You could lose your rights for life over something as simple as driving with a suspended license," he said. "Come on Florida," Bee replied, "do you really want to be the Florida of everything?" Meade has a point that not all the felonies that cost a person their right to vote are as egregious as murder or sexual assault. For this fact-check, we wanted to know if driving with a suspended license could really cost a Floridian his or her civil rights, and how often it happens. Restoration of rights for felons is a hot topic in Florida, a swing state where any significant changes to the voting population can have a big impact. Research in a few states has shown that more felons after being released from prison register as Democrats than Republicans. The proposed amendment calls for restoring voting rights for felons automatically once they have completed their sentences including parole or probation. Automatic restoration would not apply to felons convicted of murder or sexual offenses, who would still have to ask the Florida Cabinet and Gov. Rick Scott to restore their rights in a slow and cumbersome process. While the policy extends back to the Jim Crow era and makes Florida an outlier nationally, there have been efforts to make the process easier. In 2007 under then-Republican Gov. Charlie Crist, felons convicted of less serious offenses could regain their rights without a hearing after finishing their sentences. However, in 2011, the Republican Cabinet, led by Attorney General Pam Bondi, and Gov. Rick Scott scrapped that process and set a minimum of a five-year waiting period. Since 2011 through April 1, 2017, about 2,600 felons have gotten their rights restored while more than 10,000 cases are pending. That means that felons don’t necessarily lose their rights for the rest of their life, but it’s a long and cumbersome process and ultimately the Cabinet can deny restoring someone’s rights. "No person convicted of a felony, or adjudicated in this or any other state to be mentally incompetent, shall be qualified to vote or hold office until restoration of civil rights or removal of disability." That broadly applies to all types of felonies, experts said. "Any felony conviction in Florida, no matter how small or seemingly trivial, results in the loss of your civil rights," said Randall Berg of the Florida Justice Institute. 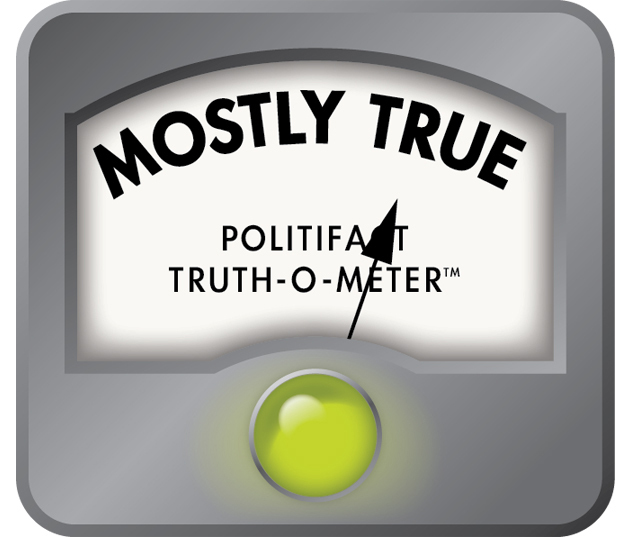 Meade sent PolitiFact the statute about the penalties for driving with a suspended license in Florida. The law states that a first or second offense is a misdemeanor but a third or subsequent conviction is a third-degree felony. We were unable to find any data on how many people had lost their rights based on particular statutes. That makes it difficult to quantify which statutes most commonly, or infrequently, result in loss of rights. We were able to get data on the number of felony convictions for driving with a suspended license. There were 6,759 felony convictions between 2012 and 2016, according to the Florida Department of Law Enforcement. Advocates in favor of restoring rights to felons pointed to some other felonies that don’t exactly conjure up the image of threatening lawbreakers. Bee’s show highlighted some of those statutes, such as tampering with a lobster trap or an odometer -- both felonies, although they rarely result in convictions. Take the case, for example, of the man a state trooper said violated a rarely-prosecuted felony pollution statute when Anthony Brasfield released a dozen heart-shaped balloons in Broward around Valentine’s Day in 2013. Broward prosecutors didn’t file a case based on that statute, in part because prosecutors thought the jury would likely see this as a romantic gesture rather than a criminal act. Brasfield ultimately pled guilty to a lesser offense: a misdemeanor for driving while his license was suspended. Meade said, "It doesn’t matter if it's a first degree or third degree. You could lose your rights for life over something as simple as driving with a suspended license," he said. The Florida Constitution says people convicted of felonies cannot vote until their civil rights are restored, a process that takes years after felons complete their sentences and is ultimately up to the Florida Cabinet and governor. Meade omits an important caveat about the Florida statute specifically about driving with a suspended license: the first and second convictions are misdemeanors, so the crime only becomes a felony upon the third or subsequent conviction. Published: Thursday, May 25th, 2017 at 4:03 p.m.